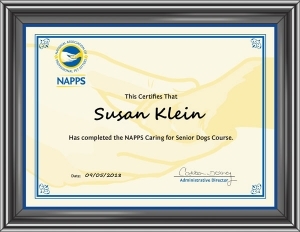 The online course offered through NAPPS is about Caring for Senior Dogs, including signs of illness, nutrition and more. It is based on the book, Good Old Dog: Expert Advice for Keeping Your Aging Dog Happy, Healthy, and Comfortable, by the Faculty of the Cummings School of Veterinary Medicine at Tufts University. 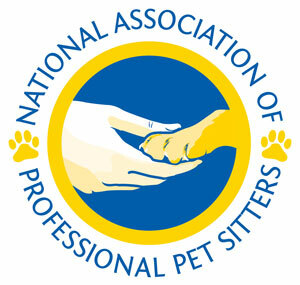 The online course offered through FetchFind teaches the participant the ABC’s of C-A-T, Behavior, Communication & Body Language, Safe Handling, information on Litter Box maintenance, Health, Nutrition, Treats and Food Handling, Grooming and Hygiene and Traveling with Cats. 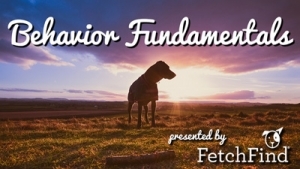 The online course offered through FetchFind delves into Canine Evolution & Ethology, Canine Development, Canine Communication, Breeds, Normal & Abnormal Canine Behaviors, and How Dogs Learn.